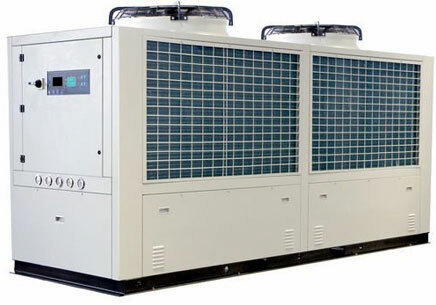 We are leading manufacturer of Chiller in india, and also we offer a full range of chiller services, installation. JC Equipments having 23 years of experience and in all industrial cooling applications and High quality design by our designing teams.The chiller with the aim of removes the heat from a liquid via a absorption refrigeration cycle and chiller is mostly used in heat processing industries. It's impossible to understand with air conditioner chiller works. The air conditioner's chiller Components are condenser and evaporator. They are moreover as well-known as the heat exchanger units and also the chilling system is able to integrated with supplementary heating systems such as boilers and solar panels and others. Compressed air and gas cooling. We export Cooling towers & Heat Exchanger and Installed with the below countries, and having clients in Saudi Arabia United Arab Emirates Dubai Jordan Kuwait Egypt Qatar Muscat Abu Dhabi Iran Iraq Lebanon Syria Turkey Yemen Cyprus Oman Eman Malaysia Singapore Sri Lanka Bangladesh Canada Germany Poland Turkey Italy Spain United Kingdom United States Syria South Africa Ghana Gambia Sudan and Kenya. Also We welcome your enquiry from chennai, gujarat, delhi, ahmedabad, bangalore, bhopal, coimbatore, hyderabad, kolkata, kerala, mumbai, maharashtra, pune, punjab, qatar, tamilnadu. Copyright @ 2018 JC Equipments Pvt Ltd All rights reserved.